The following is an outline of a presentation to the Computer Club of the Sandhills (originally scheduled January 8, 2018, rescheduled to March 12, 2018, on account of weather) at the Whispering Pines Town Hall. It includes links to articles and informative websites on the "non-use of an Anti-Virus." I have subtitled this presentation "An exploration of when you might just be able to get away with it," because the phrase "Your Mileage May Vary" certainly applies here. You likely can get along without a major anti-virus product (other than the built-in Windows Defender) if you employ an ad/script blocker like uBlock Origin. I have found my computer's performance markedly improve when I ditched Avast, which I had been using personally and recommending to others for years. I hope this information will help you if you want to try this out. 3. 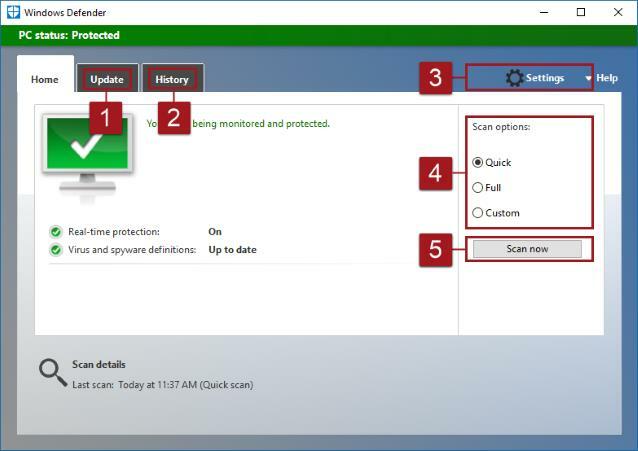 What does Windows Defender do? Like most others who have spent their working lives with computers (especially since the advent of the Internet) the idea of running a computer connected to the Internet without an Anti-Virus seemed shocking/dangerous/foolish. Then last year I ran across a couple of articles that started me thinking. Over the years I have frequently been asked to help rescue computers that were infected with malware (the current generic name for all bad-actor software - see my blog on computer security for more information on the terminology virus, malware, etc.). In almost every single case those who had a malware infection were also using a "good" anti-virus. What I should have inferred, but did not until recently, was that if the AV software was not preventing these infections, what good were they? I rationalized the issue by arguing to myself, "Yes, but if they had not had the AV running things could have been worse." Really, I must have thought that! Most of the malware I have removed in the last few years has been of the following nature: Home page hijackers, search engine hijackers, bad browser extensions, and PUPs (probably undesirable programs), none of which were caught by the installed anti-virus. I have been running without an AV on my working Windows 8.1 laptop for six months or more and have not had any infections (as confirmed by running Malwarebytes and Adwcleaner from time to time). My computer (just over three years old) is noticeably snappier in response since dispensing with the AV (I was using Avast). Of course I do have Windows Defender running. Windows will complain unless you have something in place. If you install a third-party AV it will disable Windows Defender. Here are some good articles on the issue as a whole, the first one of which got me thinking of trying it myself. I still don't use anti-virus software. Am I nuts? One of the downsides to using any Anti-virus software is that you pay a performance penalty - this is inescapable. But there are other issues. The nature of all resident (active scanning) AV software is that it must work at a low level in the OS. 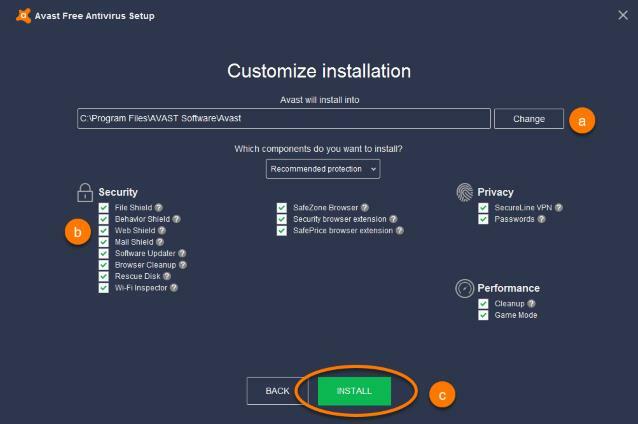 You may have noticed that you have reboot your computer if you remove a resident/active AV, such as Avast. Because of this aspect of how AVs work they can become a vector to be exploited by craftily engineered virus. Here are some articles relevant to evaluating AV products. How antivirus software works: Is it worth it? The white paper, Anti-Virus Comparative Performance Test showed Windows Defender to caused a major performance hit compared to all other AV products. I have not seen this performance decline in my personal experience. So, YMMV. 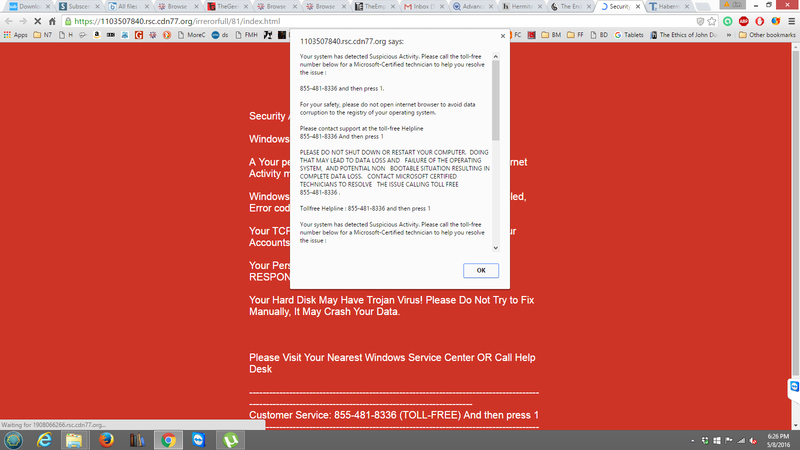 Although not in itself malware, "The 'Microsoft' Tech Support Scam" deserves special emphasis because so many people fall victim to it. I covered this topic in my presentation/blog (May 2016) on computer security, but for convenience I have added it as an addendum to this presentation. See 9. Beware Scareware below. Vulnerabilities in the OS (whether Windows, Mac X, Linux, Android, or IOS) have always been and will remain potential targets for malware. That is why it is important to keep your OS updated. Luckily Windows 10 forces updates - they are no longer optional as they were with Windows 7/8 and previous (that is, if you chose to disable automatic updates in pre-Windows 10 versions). Since Windows is the overwhelming favorite target for malware, it goes without saying it needs to be updated routinely. Other OSes are not quite as easy a target as Windows, partly on account of their security architecture, partly because they are much less the object of interest to nefarious hackers. Still any critical updates to any OS should not be put off. For instance there is news of this recent Apple Mac malware. Malware can also exploit security holes in application software, such as Microsoft Office, Adobe Acrobat, Adobe Flash, Oracle's Java (although the latter is not technically an application, but rather an application framework). So these too need to be regularly updated (or removed). New to the malware scene is a potential species of malware (so far not detected in the wild) which can attack CPUs! Two different theoretical vulnerabilities were revealed recently by Google researchers, named Meltdown (which can exploit a flaw in the design of post-1995 model Intel CPUs) and Spectre (which potentially could affect every major existing CPU platform - Intel, AMD, ARM - the later used in almost all smartphones). Microsoft: No more Windows patches at all if your AV clashes with our Meltdown fix. Any form of browser integration can create security holes. Antivirus programs often want to monitor all your network traffic and inspect it, but they can’t normally see what’s happening inside an encrypted connection, like the one you use to access your email, or bank, or Facebook. After all, that’s the point of encryption–to keep that traffic private. To get around this limitation, some antivirus programs effectively perform a “man-in-the-middle” attack so they can monitor what’s actually going on over an encrypted connection. Most of these antivirus products promise to make you more secure online by blocking bad websites, and identifying bad search results. But search engines like Google already do this by default, and phishing and malware page filters are built into Google Chrome, Mozilla Firefox, and Microsoft’s web browsers. Your browser can handle itself. Also, note well, the more extensions/plugins you use the more sluggish your browser will be. I have used the AdBlock Plus browser plugin to block ads for several years. In the process of doing research for presentation I discovered uBlock Origin, a cross-browser, cross OS ad blocker that has been described as an HTML firewall. It has many nice features not the least of which is its low CPU/memory footprint. Oh, and as a bonus, it vastly speeds up the loading of pages with heavy ad graphics/animations. Many web sites which depend on advertising income are now detecting the presence of the ad blocker and and either asking for you to turn it off for their site (which is easily done in UBlock Origin and AdBlock Plus) or not allowing you to see their content until you do disable it. uBlock Origin is available as a free extension for all major browsers on all major OSes, including Chrome/Firefox for Windows, Apple (Safari), Microsoft Store (Edge), and there's even an Android FireFox version. Not yet available for Android Chrome. uBlock Origin and some other ad blockers have a behavior that will take a little getting used to. For instance assuming you don't have an ad blocker installed and you load the WRAL Weather page and then click the "Read more" in the Weather Feed column you should see a pop-up that displays the full entry for that item. However, with the ad blocker enabled, the pop-up will not be displayed. The way around this is to click on the UBlock Origin icon in your toolbar and turn off the blocking for the whole site by clicking the big blue "power" indicator or CTRL-clicking it to turn it off for the current page. Here is a comparative review of uBlock Origin and AdBlock Plus: uBlock Origin vs Adblock Plus: Which Is A Better Adblocker 2018? A PDF guide to Ad Blocking/Blockers recommends uBlock Origin. Malwarebytes' Anti-Malware claims that it "Can detect and remove malware that even the most well known anti-virus and anti-malware applications fail to detect." Offers real-time protection during trial period, must be updated and run manually thereafter unless purchased. Some of the most common malware infections today (Home page hijackers, search engine hijackers, bad browser extensions, and PUPs (probably undesirable programs) are effectively dealt with by Malwarebytes (together with Adwcleaner, see below), but only after the infection unless you purchase the full version of Malwarebytes. See the PC Mag review (Dec. 2016) Also see the short CNET review of Malwarebytes' Anti-Malware. If I were a Mac user I think I would use Malwarebytes for the Mac. Adwcleaner (bought by Malwarebytes last year) I call a safety net as I have had to resort to it remove infections that had gotten past major Anti-Virus programs. It detects some things that even Malwarebytes does not catch (namely PUPs). Perhaps that is why Malwarebytes bought Adwcleaner? Adwcleaner currently must be downloaded for each new version (no internal updates), and must be run manually - there is no real-time protection. Still, what it does, it does well. Here is an example I captured from my own computer. It was accompanied by an irritating woman's voice repeatedly warning me I MUST call the number listed on the screen, otherwise dire things would happen to my computer! Sometimes you will hear what sounds like a fire alarm, and other emergency type sounds designed to scare you. Also you might get cold-called (from Microsoft, NOT!) telling you you have a virus on your computer - how would they know? On one person's computer which was a victim of Scareware I found that among other things the miscreants had set a DNS server address in the IPv4 properties - these servers were either down or bogus. This meant all this person's web links would fail! To them it appeared as if they were not connected to the Internet. Using a different browser would not help. 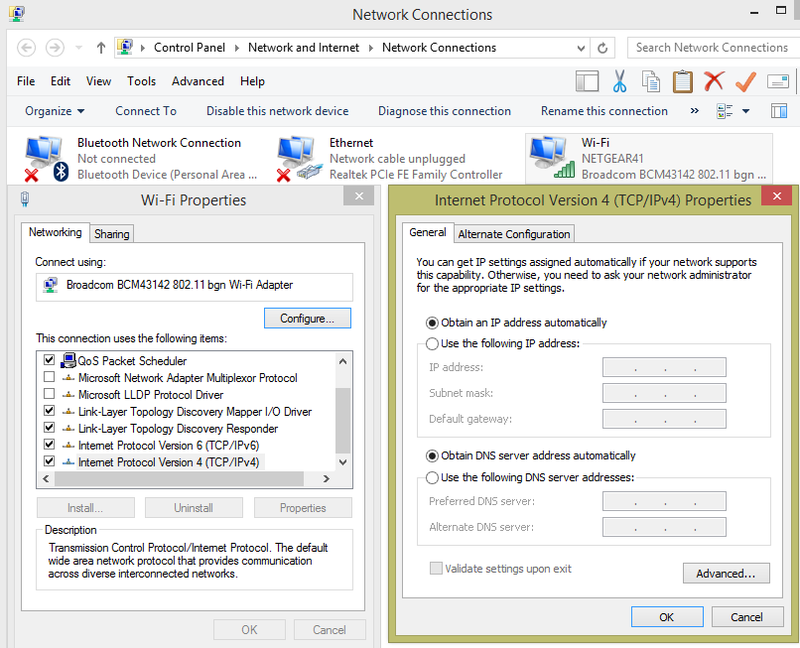 Only resetting the DNS to the default (Obtain DNS server address automatically) solved this problem. Most likely someone running the uBlock Origin browser extension would not experience this problem to begin with!